How Can we Get a Refund on Our Tickets? Home > Ask Our Experts > How Can we Get a Refund on Our Tickets? We have a dispute with a promotions company in which we verbally - with proof - cancelled a concert and hotel booking. We are being refused a refund despite the company being aware days before the event that we could not attend. We have asked for our tickets which could not have been used because we were not there. The company says it returned them to the event organiser but we believe the tickets which were to be handed to us on the coach going to the event, have possibly been sold to a tout on the night, or resold back to the organiser. Either way the promotions company will have received money for the tickets. We believe the tickets to be our property because we had paid for them and they were not theirs to sell. Are we entitled to our money back? Unfortunately, in this instance you have very little entitlement to your money back. As a rule, if you purchase an event ticket and are then unable to attend, you would not entitled to any refunds or exchanges. It doesn’t matter if the tickets were purchased months in advance. This should be outlined in the organiser or agent’s terms and conditions at the point of sale. Individual organisers or agents may make an exception – such as if the ticket is cancelled a long time before the event date to enable resale – but this is relatively rare, and clearly not the case here. If the event was cancelled, rescheduled or altered significantly – such as a change of location – then you would be entitled to a full refund of the costs plus, unless otherwise stated, any additional booking fees. 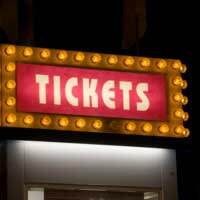 Usually if you purchase a ticket for an event that you can’t attend then all is not lost because you have the physical item, which retains its value up until the event takes place. So you can choose to resell it - and if it is a sold out event, then various Internet channels now offer good opportunities for getting the face value back. However, your particular situation does not permit this. You may well feel that as you have in effect paid for a something you have not received you should be entitled to some form of compensation. Unfortunately as you were not expecting to receive the tickets in advance - but on the coach on the way to the event - then you have no right to claim compensation for their loss. This is a risk you should have been aware of when purchasing the tickets. Whether the promotions company has received money for the unused tickets doesn’t factor into this. The company has fulfilled their contractual obligations and so, in theory, can do what they want with the unused tickets. The one claim worth pursuing would be a refund for the hotel accommodation. Accommodation cancellation policy operates differently to that of event tickets. At the very least, you should be entitled to a partial refund, and if you cancelled with adequate advance warning – specific hotel rules may demand a warning of at least 24 hours, 48 hours or even a week – then you should be entitled to a full refund from the promotions company. If you have not received a refund for the accommodation part of the deal then it is well worth sending a written letter to the promotions company demanding this, along with the proof. However, be prepared that even this is not guaranteed to meet with success as the original terms and conditions of sale may include a clause which states that the company is not accountable for any refunds and exchanges for the whole event – concert and accommodation – if the customer is unable to attend. Are Tickets Valid on ebay?